Submisssion Grappling La Puente | MMA Fighting Events Videos Techniques UFC Fight Picks and News. Submission grappling reached La Puente, California on April 21, 2012. Florez Gym hosted a submission grappling tournament for the beginner and novice grapplers. Derrick "BigDee" Martinez organized this double elimination tournament. The double elimination format gives every grappler a chance for multiple opportunities to showcase their talent. As an added bonus, BigDee called on two heavyweights to put on an exhibition Muay Thai fight. Jeremy Petruncio and Mark Delacruz threw chingaso after chingaso to pump up the crowd and add to an already exciting event. 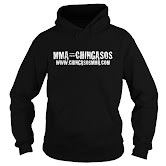 Stay tuned for MMA news and upcoming events in the Los Angeles area.